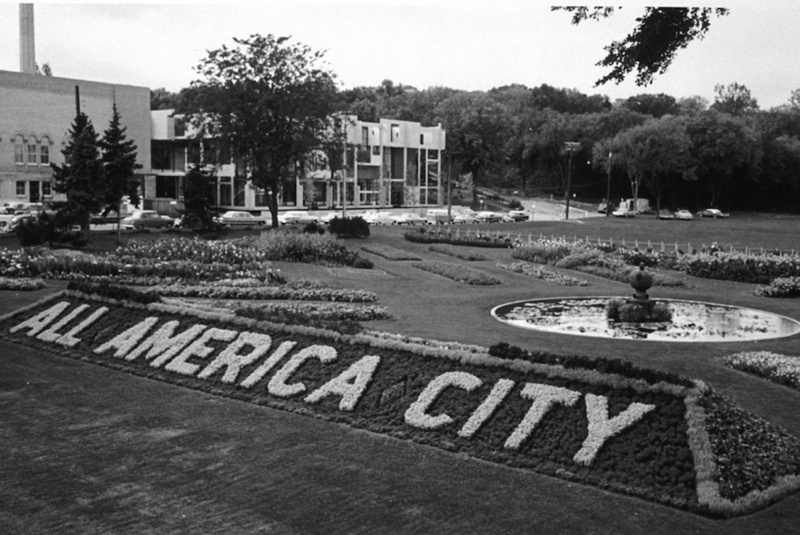 Before the Minneapolis Sculpture Garden existed, the space was a formal garden, a playing field and, once upon a time, a swamp. As we celebrate the 25th anniversary of the Minneapolis Sculpture Garden, it is only fitting to comb through the archives and dust off some maps, memos and moments from the garden’s pre-history. On the layout of the Lowry Hill Area in the late 1800s, Minnesota’s first ornithologist, Thomas Sadler Roberts, recalls a forest perfect for bird watching and fishing. These first recollections of water and swamp would haunt the early history of the space. The Parade Ground, first called Hiyata Park, was an early name for the ten-acre plot that is now the Sculpture Garden. Minneapolitans constructed a magisterial Armory on the site with crenellated, stone walls for the Spanish-American War National Guard volunteers at the turn of the century. The area soon was to house athletic fields and demonstration gardens. A commercial plane landed in the Parade grounds from New York in 1920, setting a world record for freight transportation. In 1928, the year before the Armory was deemed unfit for usage, a public programming extravaganza was staged within its walls. This included an old time fiddlers’ contest, a “midnite frolic,” and a dance “Bearcat” marathon that lasted over 974 hours. 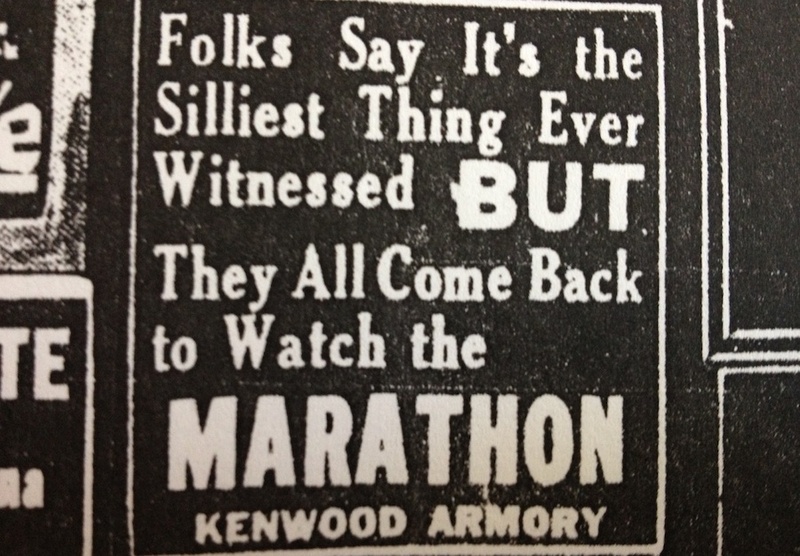 Much like the Internet Cat Video Film Festival, “folks say it’s the silliest thing ever witnessed, BUT they all come back to watch the marathon.” (Journal advertisement,1928). In 1933, the Armory was torn down after sinking nearly four and a half feet into the ground. The space that the Minneapolis Sculpture Garden inhabits has been of horticultural interest for over a century. 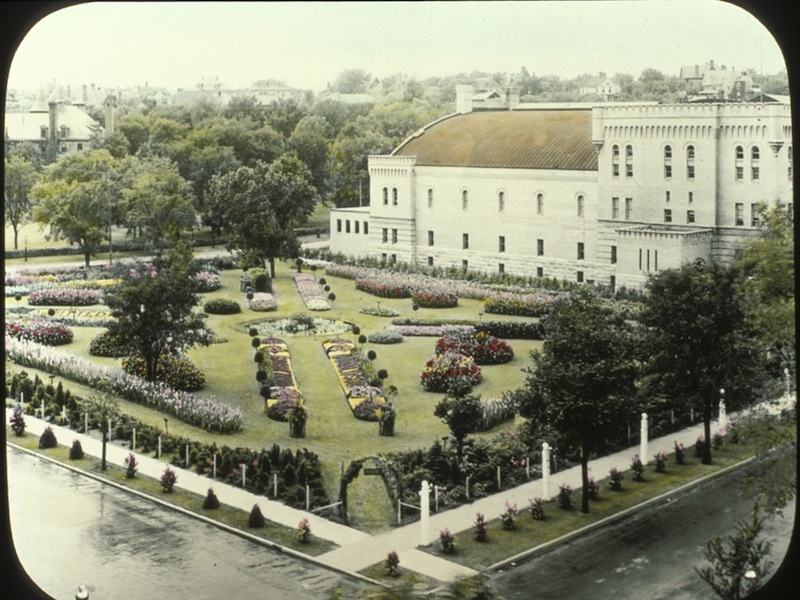 While gardens were present for most of the first half of the 1900s, in 1967 the Parade’s flowerbeds were removed for construction of the highway. By 1973, there were only a “few fine elms” dotting the landscape. 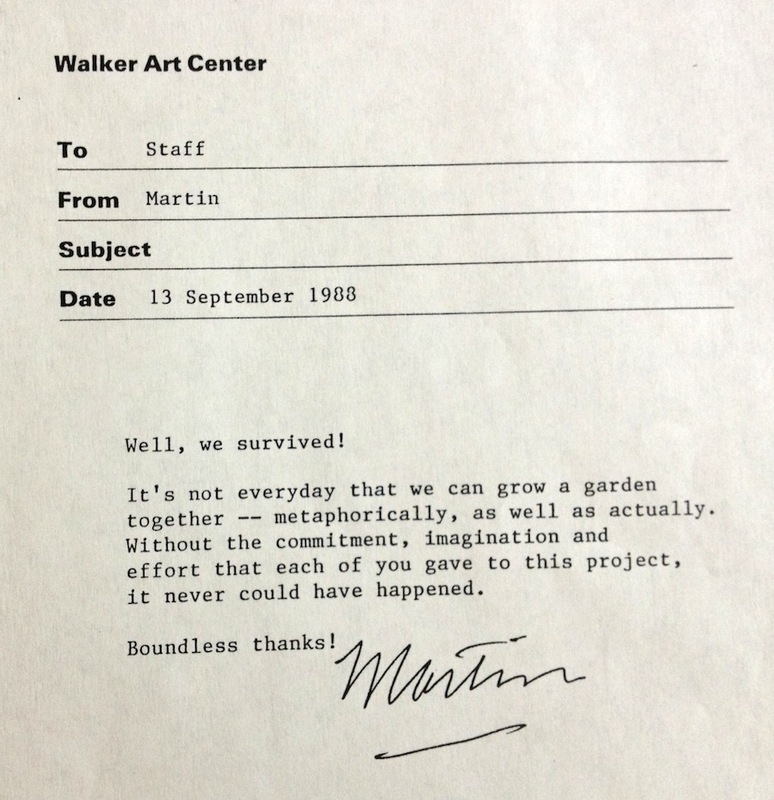 In a memo from 1988, Martin Friedman announces, “It’s not everyday that we can grow a garden together—metaphorically, as well as actually.” It is hard to imagine that Minneapolis’s crowning jewel of horticulture and art was once a swampland frequented by ducks. All images courtesy of the Walker Art Center Archives.